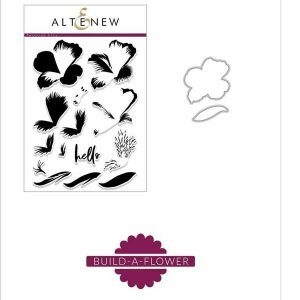 Peruvian Lily Build a Flower by Altenew. 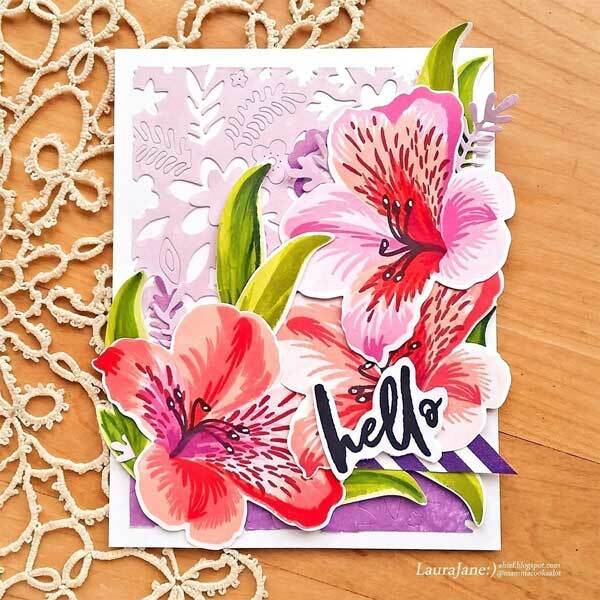 The Peruvian Lily, also known as Alstroemeria, blooms in a variety of colors and is native to South America. 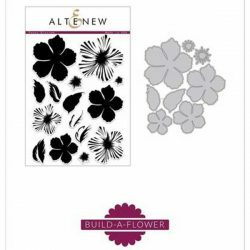 Some petals are flecked with darker shades, resulting in a distinctive and beautiful look. 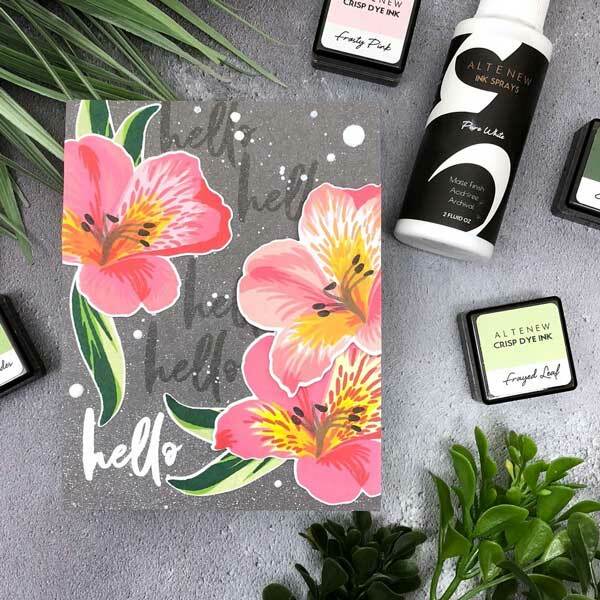 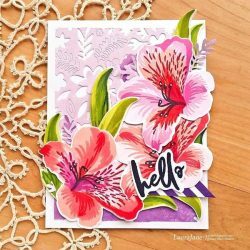 This stamp set includes a realistic and incredibly detailed Peruvian lily, designed to be stamped in contrasting or coordinating colors. A lovely leaf and painted sentiment finish off the set. 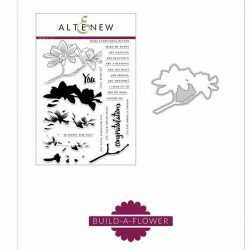 Includes 1 6×8 stamp set (14 stamp images) and 1 coordinating die set (2 dies).